It’s rush hour at Corydon and Stafford, a busy intersection at any time of the day. 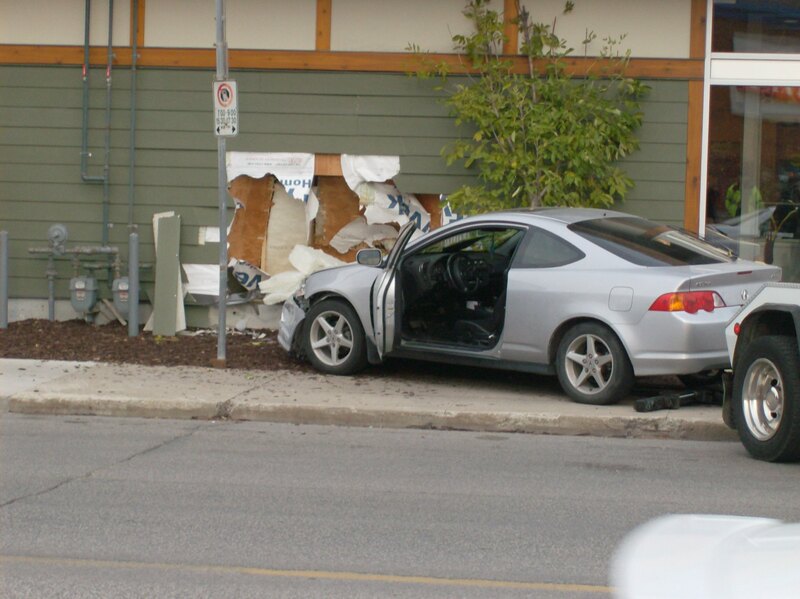 An hour ago a young woman lost control of her car, veered across the sidewalk and smashed into the west wall of the recently opened Tim Horton’s location at the corner. The hall to the washrooms was a mass of splintered and busted wood and plastic. No one in the store was injured and the driver had minor cuts and bruises. As you can see by the pictures, if she’d been a few feet further to her left, she’d have sheared the gas lines going into the building. It could have been worse. 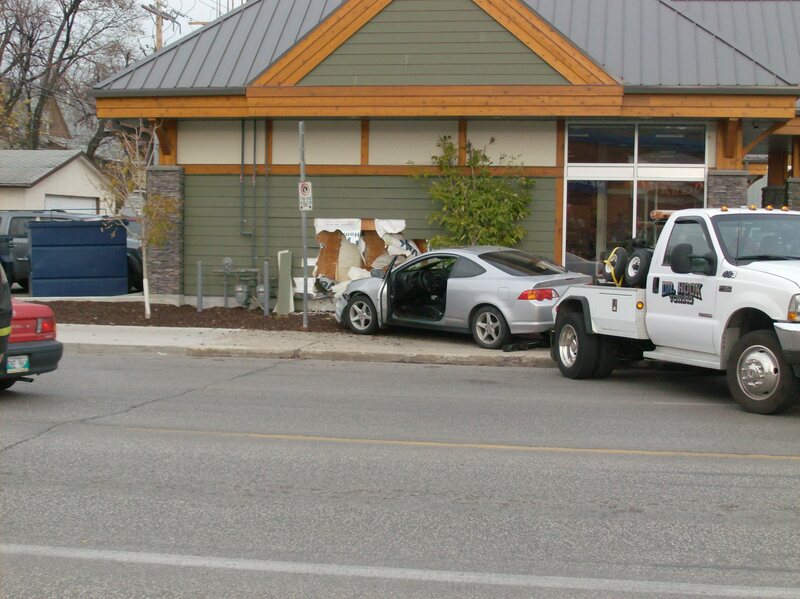 By the way, this Tim Horton’s doesn’t have a drive-thru. My short video shows the car being hauled away by a tow truck and Winnipeg fire rescue personnel.